Bring the carnival to San Diego! 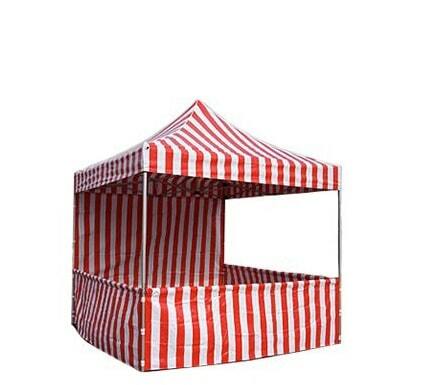 These red and white striped canopies are perfect for carnivals, fairs and festivals! Pair with our awesome concessions and carnival games for a great carnival setup! Minimum space: 8'L x 8'W x 10'H. Surface: Indoors or Grass only.